This very fine bracelet, most probably from Rajasthan or Madhya Pradesh, has a well-made hollow hoop of sturdy silver wire knitted mesh, and two terminals each in the shape of amakara, the mythical aquatic serpent. 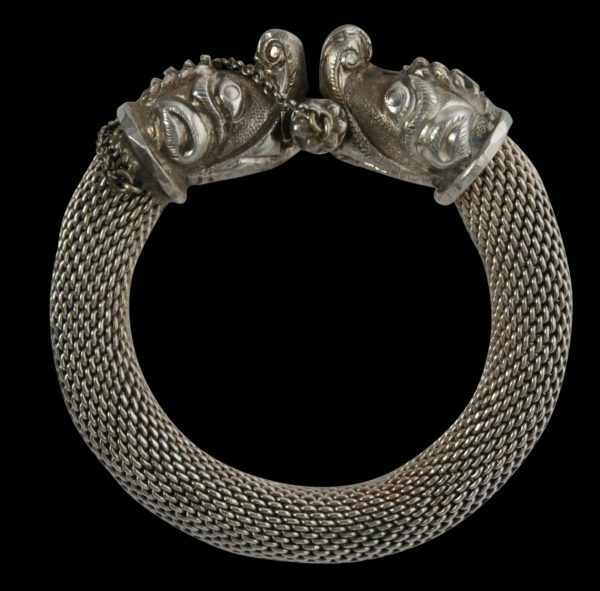 This link with water suggests that this bracelet was imbued with properties associated with fertility and prosperity. The bracelet opens with a screw that is located between themakaras. It is attached to the bracelet by means of the original silver chain. The bracelet is in a fine, wearable condition. 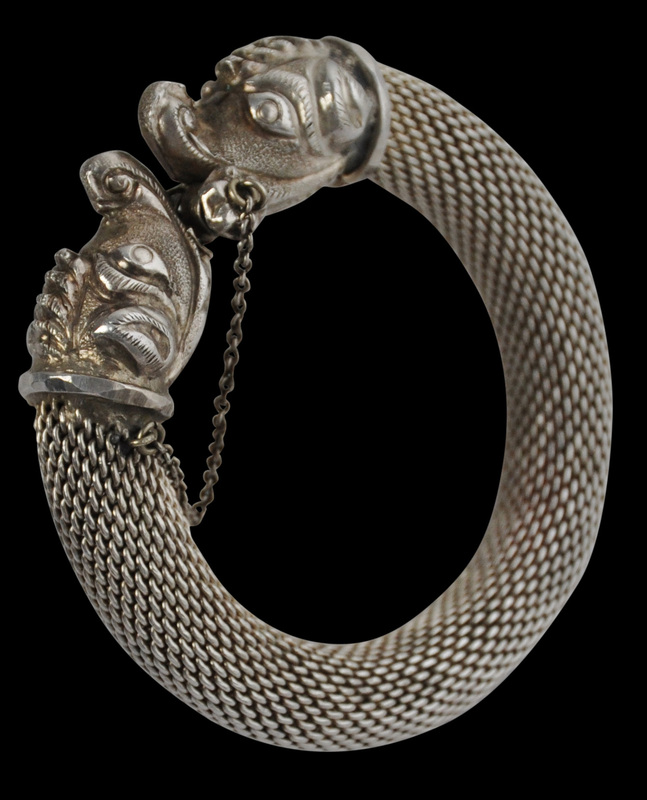 van Cutsem, A.,A World of Bracelets: Africa, Asia, Oceania, America, Skira, 2002.